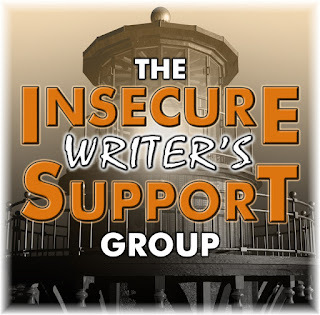 Alex J. Cavanaugh: Insecure Writer’s Support Group, February Movie Preview, and Love Triangles! Good Morning, Alex. I love that new badge and definitely getting it today. I just saw a commercial for Gods of Egypt last night, and I agree with you. I'm hoping its good because I like Gerard Butler. I'm still trying to catch up with all the movies that I haven't seen yet. Now off to sign up for the newsletter, and I'm even considering sending something to Chrys. It appears that I already signed up! Haha...Have a good day!!! Thanks for the heads up about the new badge, looks fab. Looking forward to the newsletter too. I might even get a brainwave and submit something! Yup, I've got my shiny, new badge up. Congrats to all in the anthology and to Toi on her new book. I'm coffee girl myself Looking forward to the first issue of the newsletter! That is really cool that you guys are doing another anthology. Maybe I can get the nerve to enter this time. I got my IWSG scheduled for 9 but I will grab the new badge for next time. Kung Fu Panda 3 is on my must-see list of movies this month. My love triangle is my three kids always vying for my attention. Mom, mom, mom...help! It sounds like you have a lot going on here the newsletter and the anthology. You are a great source of encouragement to so many. What is my insecurity today? I don't think I am much of a writer when I look around at all the talented poets and storytellers. Perhaps, I don't belong in the blog world. It has been weighing on my heart and my mind. My 3 year anniversary is coming up so I need to figure it all out. I guess I am just a dreamer with her head in the clouds. Wishing everyone a wonderful day, may your hopes and dreams always grow and bare fruit. Dreams are the desires of our heart and it is what keeps us going in our waking state or would the true waking state be when we are dreaming? the flashlight within for here we will find the beauty of the soul. A bud of hope waiting to bloom into a glorious flower. Ah, I can smell a bouquet of wildflowers on the path to enlightenment. So are you saying you like R rated zombies better? Just curious. I don't watch a lot of zombie movies and I was appalled at what these guys did to that classic book--but the movie looks kind of cool. The only one of this month's movie crop I'm really jazzed for is Pride And Prejudice And Zombies. Deadpool I'll catch on home video (as it's a superhero flick, I have to see it at some point), but honestly it does very little for me. Not sure I'd like the Pride and Prejudice with zombies. I love that story and don't love zombies. I'm definitely a coffee addict! Catherine, glad you like the badge and hope you can send something to Chrys! Brandon, hope you can submit to the next one. Truedessa, you are a true writer! You definitely belong. Don't give up on it or us. Donna, yes! I'm in it for the gore. Tim, I will be seeing it, so I'll let you know. Toi, what we drink, and when, does define us, and our characters. I also drink both coffee and tea. Coffee in the morning, and tea in the afternoon. I especially like the Biker Chef's scones with either one, though! Alex, the new badge is great. I'll grab it right now. Thanks for all you do for this writing community. I like the new badge. Too late to use it for this mont's post, though. I'll try to think of something for the newsletter. So much awesomeness in this post. The new badge is neat. :) One movie I want to see is Pride and Prejudice and Zombies. Things seem to be going well with the IWSG. I hope the first newsletter is the success it should be. I am appalled at the idea of Pride and Prejudice with zombies. One of the English languages great classics should not, IMHOP, be allowed to be messed around like that. Horrors. Haven't yet got the anthology, will do so. Here I am an admin and I'm terrified of submitting to a newsletter. Can't help but think what do I have to say that anyone needs to hear. I know, I need to get over this. Wish I could take a pill that would solve the problem. Great badge, Alex. Everything you do is remarkable. Great post. A new badge and a new newsletter. Very refreshing Alex. Couldn't think of Pride and Prejudice with zombies! It would be an injustice to good writing. Alex, I may be zombied out as well. I really liked the book Abraham Lincoln, Vampire Hunter, although I hear the movie was terrible. I've been tempted to read Pride, Prejudice, and Zombies, but I'm just not sure I'd like it. Maybe I'll just stick with The Walking Dead and patiently wait for next October to see who's become zombie chow via Netflix. The new badge looks great. I'll have to update my post with it now. My writing fuel is definitely coffee (and it's not even the caffeine, I'm on decaff at the moment). But all my inspiration is found in a coffee cup! I'm so proud of all that you've accomplished with your 'little group'! It's grown by leaps and bounds and helps so many writers! Another contest? That's awesome. Maybe I can get my 'stuff' together this year and do it! I hope I can write something for the next anthology. I'll grab the new badge next time. Just updated my post with the new image. I forgot last night. I'm looking forward to Deadpool. And I'm like Toi, I like coffee and tea, hot or cold. And of course, lots of water. Thank you for the new badge. Looks Cool!! Already used it. I'm looking forward to the new newsletter from Chrys too. And thank you for giving us the opportunity to submit to it. Genre: Thriller! That's my thing and lends itself to all kinds of setting. Ahhh I didn't realize there was a new badge! I'mma go swap it out, this one is so much prettier! Love the new badge, have downloaded it. Will put it up ASAP. Like the idea of IWSG members contributing to the newsletter. Toi, I too oscillate between tea and coffee at different times. Alex, I am holding on to what you said on my blog, that we meet our loved ones in the Afterlife! It made me feel loads better. Cool new badge, Alex. I haven't seen a movie since Spotlight, which was incredible. Want to see Room and The Big short, though I can't seem to find the time to get there. Sigh. Love the new badge. Can't wait to see my first newsletter. What's my love triangle? Well, Julianne is my favorite cat and Umberto is my favorite cat--- and now my new three-legged cat Ozymandias is my favorite cat.... more like a love quadrangle. I am trying to overcome my anxieties and get a poem a day written (short poems). Also am trying to get a print version of my most recent poetry chapbook out. Lots of word, and my new computer loves to slow things down by shrinking or growing the text every time I use the mouse. I've seen the previews for that Jane Austen zombie movie on TV. Can't say that I was impressed. I think that The Walking Dead is killing it (literally and figuratively) in that genre. Do we need more zombies??? Liesel, it has been a long time since the book came out. Jo, will be out later this spring. Joylene, you can't be scared - you'll have to write one for the newsletter later this year! Tamara, exactly why we needed a new badge. And yes, that movie was awful. Will fix the link. Nicola, we'll see which genre this fall! Lots of new stuff this month--badge, newsletter, another anthology. Don't let us get complacent. LOL I'm looking forward to the new Star Trek movie. Love the reboot. Quite a packed post again :) I am a yerba mate drinker, so I guess that means tea for me. And I recently read Pride and Prejudice and Zombies, so that is my #1 pick. I thought the book was awesome because the zombie storyline actually made the plot more believable, especially why Charlotte would marry Mr. Collins. I'm looking forward to the upcoming movies. A few of them look fun. Oh, I need to update my logo! Will have to put the new IWSG badge on my blog's sidebar! Can't wait for the newsletter! I'd love to submit something but I'll have to think of a good topic first. I admit to a vague curiosity about Pride, Prejudice and Zombies in spite of not really caring for Pride and Prejudice or Zombies... go figure. And Gods of Egypt trailers look fairly entertaining... and Nicolai Koster-Waldau, or however you spell his name... love him. But I will probably not see either until they make HBO. Great movie review for the month, would be on the lookout for some of those titles. Greetings! Congrats to Toi on the new book, sounds like a fun read. I'm with you on being zombie'd out. I saw a trailer on Deadpool last night and it did look like it would be funny. Good morning - I've already caught up with Liza on Middle Passages - she's doing great and she discussed coffee, croissants, and writing. I'm not a coffee or hot tea person - I plunge into cold drinks right away - OJ, then water. 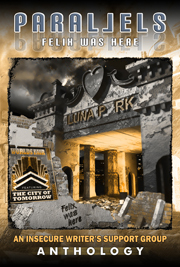 I have concerns on PPZ - it's been a long time since the book came out. Often not a good sign. But the concept was so wacky - might have to see it. I'm glad to have a new badge! I love coffee, but don't drink it very often any more. It's herbal teas for me, or water. A theme for the next anthology? How about Synchronicity. The new badge is cool! Thinking about the genre for the new anthology. I love being challenged. Hmm! Not really interested in any of those movies - too busy. That's good, right? Thanks for the comment at my blog, I really appreciated it. I've grabbed the new badge here, but I definitely think you should have an official badge-change ceremonial post (think how much the first lighthouse helped insecure writers "find the light." There you go, a ready-made blog fest to retire the old guard. I like the badge. I added it too! Very nice! You have a point with the Pride & Prejudice and the Zombies, but I still have to see it. I can only do one cup of coffee. After that, it's hot tea. I like Ryan Reynolds so we'll probably see Deadpool next week. movies - why does hollywood waste money on such drivel as P,P & Z! ugh! ps - i'm a slow reader too - and critting to boot! Pride and Prejudice and Zombies?? You have got to be kidding. Love the new badge. I'll be using it next month. Love the cover and the new badge. Will definitely upgrade my blog with the new look. Congrats to Toi! Love the name of her blog. Alex, I love the new badge. The colors make it stand out like a beacon of light. Diane, not a chance of that here! Christine, I also drink water. Mason, it looks like Reynolds has a lot of fun with the role. Joanne, that is odd the movie has taken so long. Bish, that would be a challenge! Mark, if only I'd made the new badge before late yesterday afternoon. The new badge is great! Every time I see the anthology cover displayed somewhere, I feel giddy. This is an exciting thing to be a part of. I've considered submitting something for the newsletter, but my insecurities have been nagging at me on that front. Maybe I need to just ignore them and try to think of something. What's the worst that could happen? 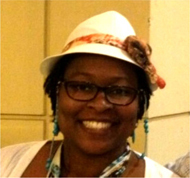 I'm glad I took part in the Lost and Found Blogfest on Monday. It was a lot of fun! My love of caffeine comes in a pentagon instead of a triangle: soda, tea, a cold brew espresso Italian soda with vanilla and orange, coconut milk vanilla lattes, or home-made coffee with honey and coconut milk. However, there is an overall theme . . . sweetness, which means that for me to lose some weight this year, I have to limit my caffeine craziness to a bare minimum. Planning to submit to the newsletter . . .
And . . . movies .. um, I think I'm sticking to DVDs and Netflix this month. Okee dokey I've signed up and I'm insecure that I don't know how to host meaning what hosting means. OK that was clumsy, but I can share I'm feeling clumsy and insecure today, si? Wow! New badge. Newsletter. Some great things happening as usual. I can't decide if "Hail, Caesar" is a worthy project or not. It could be fun, but I have my doubts. Hi Alex .. lots going on and with lots of offers to submit articles etc. Deadpool will let everyone know why the first Wolverine movie was so bad. Congratulations to Toi Thomas. And to all writers. This reader NEEDS you. Deadpool is a must see for me. Sadly some reviewers are saying Hail Ceasar is kind of LadyKillers again, better in quality but still disappointing for the Coen Brothers. Maybe they're wrong or maybe it is the whole really good deceptive trailer a la Tomorrowland rearing it's ugly head. I'm starting my movie going for 2016 next week with Kung Fu Panda 3. Then it will be deciding which I see next Deadpool or Zoolander 2. If Pride Zombies is good I might see it, no promises. Toi I'm one of the proud oddballs with orange juice as my drinking poison. But on super rare occasions peppermint or ginger tea have a nice effect. Eww, no coffee. Congrats on your book and I'll check out your site. Gotta remember to post the new badge. Looking forward to the newsletter and possibly contributing something. Congrats on the anthology cover and the new badge! (I'm grabbing it for my blog.) Congrats to Toi on her release. Got hacked again. I will grab the new badge if I'm still blogging next month. I'm loving the new IWSG badge! I'm such a bad co-host though; I already had my post scheduled before I saw it. Bad Eva, bad! Yay to Chrys for being in charge of the IWSG newsletter. She's going to be awesome. I love her! Going to try hard to enter this year's anthology contest for sure. Hugs. LG, what is the worst? 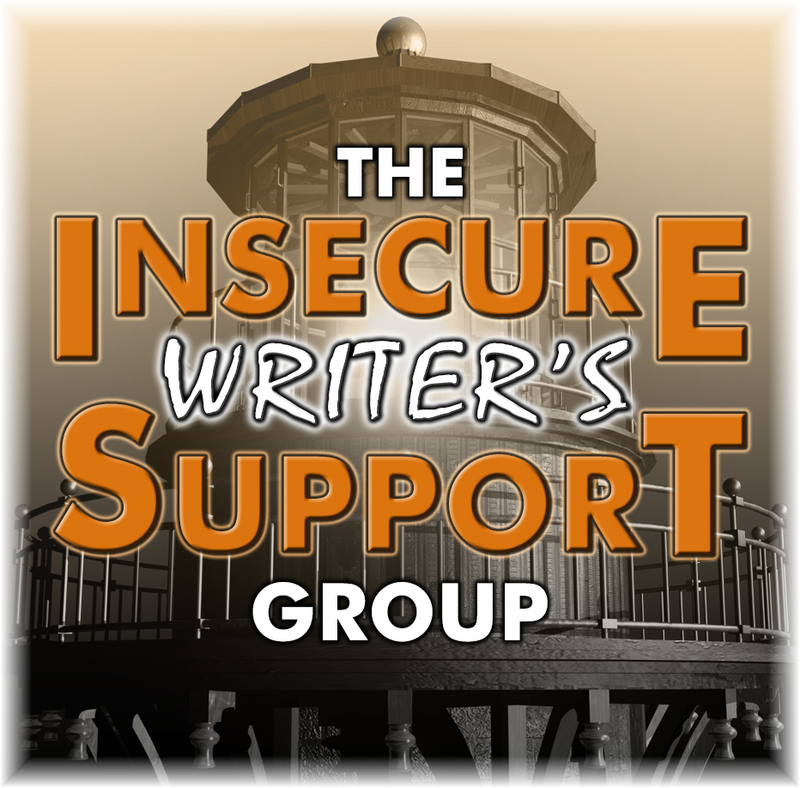 You just got the lead in the IWSG Anthology - an article would be a piece of cake. Leigh, that almost made sense! Lexa, I am here to amuse. I can't wait for Deadpool! I read the comics when I was younger (my brother had them and I'd sneak into his room and read them when he was away in the Navy.) The fact that Matt Smith is in the zombie movie is the main reason I want to see that. GERONEMO! Hi Alex! I'm semi-surfacing again, because it's IWSG day. The new logo looks great! And the new contest sounds intriguing too. I'm looking forward to reading the new anthology! Have a great IWSG Day. I only have a small window of computer time, so I'm going to get something up and visit some posts while I can. Thanks for all you do and ake care! Looking forward to reading the first IWSG newsletter. Great news about another contest too. Hi Toi! Congratulations on your latest book! It sounds intriguing! I'm totally java fueled; but if I'm desperate I also resort to dark chocolate and ginger chunks. Good luck with your book! 'K, so the cover for the anthology is absolutely awesome! Truly it is. Way to go to everyone! I like the newsletter idea and having one article written by a member. Very cool... I'll think it up! The New Badge is great. Looking forward to the newsletter and the anthology. Great cover there. Haven't seen any of the movies, as usual. It's a shame to see that I missed the anthology while I was away from IWSG. I'll keep an eye out for this year's contest, and I'll be sure to try and get my hands on a copy! Another movie that takes place in Egypt with all those white Egyptians. Amazing how that always happens. Can't wait to see Deadpool. That should be great! The cover for the IWSG anthology is awesome. To me, it's sacrilege to put zombies and Jane Austen together. I hate zombies. The Egypt one kind of tempts me. It looks fun. Anthology cover looks great. I'm not a big zombie fan, so will probably pass on this new one. I am a Marvel fan though, so will see Deadpool. I am super excited for the release of Deadpool! Really hope it lives up to all the hype. The anthology looks great. Am going to pick up a copy as soon as it comes out! J.L. Campbell- Thanks for the kinds words. Jennifer Hawes- Oh boy, I guess kids would be the ultimate love triangle because you can’t love one more than the other. Sandra Almazan- Fresh oranges are the best. Liesel K. Hill- I too like herbal teas, but some of new fruit teas are too sweet for me, and I love sweets. Mary Aalgaard- Those scones sound great. Tamara Narayan- I didn’t even know you could get decaf green tea, but with ginger and sugar, I bet you can’t tell the difference. Angeline Trevena- Sometimes it’s all about the smell, the flavor, and memories. Susan Gourley/Kelley- I find I drink water with most of my meals, so when I write, the other beverages really are my mental fuel. Nissa Annakindt- Choosing between 3 cats does sound tough. Shadow- I try to stay away from soda, but every now and then temptation wins. Christine Rains- You really can’t go wrong with water. Shell Flower- Maybe I’ll give yerba mate a try. Mason Canyon- Thanks, I hope you check it out. It is supposed to be a bit humorous. Joanne- Croissants with writing sounds lovely. Fundy, no worries! If you're limited, I understand. Noon, will keep you posted on this year's contest. Cherie, I'm a DC fan and I'm excited! Bish Denham- Sometimes I enjoy coffee flavor more than coffee caffeine. I get it. L. Diane Wolfe- One cup of coffee a day is about my pace too, and luckily I drink need it every day. 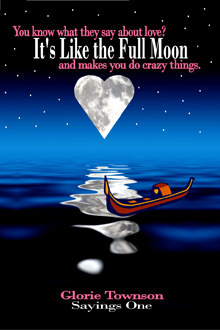 lorilmaclaughlin.com- I love it. I have a friend who drinks hot chocolate even in the summer. Julie Flanders- Thanks for the kind words. Glad you like my blog name. Tyrean Martinson- Yes, the caffeine and sweet combo can be additive. It’s something I’m working on. Hail, Caesar! looks awesome. Coen brothers are brilliant. And Gods of Egypt--Gerard Butler. Can't help myself. Elephant's Child- Thank you. It means a lot. Sheena-kay Graham- Thank you. Hope to see you at the ToiBox. Peppermint tea is very relaxing. Nice choice. Lexa Cain- Thank you very much. Fundy Blue- Thank you. Oh, and I love dark chocolate with ginger. I’m excited to try out all the upcoming movies except Gods of Egypt. It’ll probably be a rental. I’m insecure about a lot right now, but I keep moving forward. The challenge of submitting to the newsletter and another anthology might be just what I need. I think Communication might be an interesting theme to explore. We went from pony express, to the telephone, to email, now texting. Who knows what the future will bring. Nooooooooooooo...they really made the movie for Pride and Prejudice and Zombies???? Sigh. I'll admit, I did read the book, but still. Deadpool looks awesome, as does Suicide Squad (which is a lot darker and probably more violent (and not released for February, though). Congrats on your new book Toi and being showcased here:) I drink OJ and soda water combined for a nice fizzy drink and that's all i drink except for some water. I have been in a certain situation, love-wise, that is heavy and that is all I shall say. One day I may talk about it, like when I am 85:) Hail Caesar is a film i really want to see! Congrats to Toi. I find myself drinking coffee during the day job and tea at home. I made a note to myself to grab the new badge for my next post. That's great about another anthology. Pretty classy badge. Kudos to the artist. Deadpool sounds familiar. Is this a remake of an oldie? Had to laugh at Pride Prejudice and Zombies. I bet it'll be up for an Oscar!!! The new badge is a nice upgrade. The cover for the anthology is sweet as well. I really want to see Deadpool (seems right up my alley), good for a guys night out (I don't think the wife is gonna like it). I used to strictly drink coffee (since I worked in coffee shops for 12 years), but since I've been off caffeine, I now drink a fair amount of tea. When the new baby arrives later this month, I may have to go back to coffee. I love the new badge and the anthology cover. I am looking forward to the next one, I want to try again. I'm also looking forward to the newsletter and submitting something. yay for the newsletter! I'll try and put something together to submit. And congratulations Toi on your new novel! I'm a hard-core coffee drinker. Tea makes appearances, but nowhere near the frequency as coffee. Alright, I'm ready for DeadPool. Not sure what kind of plotline they're going to have, but it'll probably be fun to watch no matter what. Coffee is usually my go-to but tea is great during the winter when my feet are cold. A newsletter? I'm impressed by your drive, Alex! Love the new badge. Its time for a change. Hopefully I'll get a story ready for the next anthology. I'll have a year to write it, right? PG zombies do not thrill me either. I gagged all the way through Warm Bodies (watched to spend time with the kids). Why do people want to make all monsters warm and fluffy? The only movie I plan on seeing soon is something with the grandkids, perhaps Kung Fu Panda 3. Lets hope grandma can smile through the event, lol. Wifey and I are hoping for a decent if not better showing of Hail Caesar. Of course I';; be going to Deadpool all alone and loving it I'm sure. Love the promo poses. Oops! Too late for me to use the new badge this month. Gonna have to wait until March. It's very nice! What a nicely designed new badge! I look forward to the newsletters! I am not exactly holding my breath for Gods of Egypt either. But if lowered expectations was what the director was aiming for with the early trailers, then he has succeeded with flying colors. I never saw The Crow. It wasn't good? Didn't one of the actors pass in making it? I think I remember that... I didn't want to watch it because of that (I'm a wimp, I'd be sad for the actor's family), if that's the right one I'm thinking of... it's been awhile. Love the new badge, and the cover of Parallels. My insecurity: I finally finished my first book - a non-fictions with the editor now. Lynda, Suicide Squad looks great. Erika, if the reviews are good, I'll go see it. JQ, no remake - Deadpool is a superhero character. And if that movie is up for an Oscar it just might be a sign of the apocalypse. Liz, might be a lot of autobiographies if we did that! Jennifer, I've wanted to start one for the past two years. Donna, at least eight or nine months. And Kung Fu Panda 3 was fun. Robyn, I read Oreo Cookie with men in the middle, but I'm sure that would make you happy as well. Michael, that made me chuckle. Rosey, the first movie of The Crow was a masterpiece, and yes, Brandon Lee died while filming it. Very tragic. Yes, I love Coen brothers, interesting Hail, Caesar! Hey Alex! I am new to IWSG and loving it already. Great new logo, btw. As for me, I am both a tea and coffee lover, drinking both throughout the day depending on my mood. And for movie interest: Gods of Eygpt! It's the only one that peaked my interest. Definitely no more zombies! Cheers! Have a great day! I'm super excited about Deadpool, personally. I love what little I've seen of the comic and the previews I've seen have been unbearably funny. I love love triangles! LOL. And I also like both tea and coffee. Excited about Deadpool! I can never resist a Coen brothers film, so I'll definitely watch this new one. Toi, the cover looks awesome. I love contemporary romance, so I will have to make a note of your book! Alex, but this zombie movie has gowns. Gowns!! How could you not be excited. Deadpool? Never heard of him. LOL. Chad won't let me talk when the commercials come on. How rude. I should make him wait until it comes out on video. Took the hot new badge! Yay!!! I want to see Deadpool! I'm going to try to get an article in, to be used whenever it's needed... Love being a part of this group! thanks for dropping by my blog! So many good ideas and opportunities for the IWSG. I'm looking forward to the newsletter. Thanks for coming by my blog! 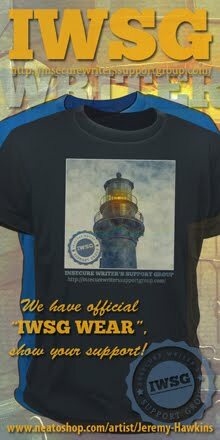 The new IWSG badge looks awesome! I'm with Toi. I love tea and coffee. There are very few days I don't have one or the other or both. I'm looking forward to all of these movies you've listed. Gods of Egypt is right up my alley. I have a guilty pleasure fore sword and sorcery cornfests with mythology (Egyptian, too!) thrown in. Obviously, the one I'm most excited for is DEADPOOL. Yay! Genre? Horror? That would work best for me. Love the new badge! Just put it up on my blog! Hail Caesar looks hysterical! I'm tired of Zombies and Jane Austen. Love the new badge. Updating it on my post for next month. YAY to the new anthology. Sounds like a great read. Can't wait to check it out. I have to admit I'm curious about Hail, Caesar...I'm not fan of the Coen Brothers but a lot of great celebs in it. My little brother is really excited for Deadpool, and had our father take a picture of him with a big cardboard cutout of Deadpool by the movie theatre when we visited our parents in December. My parents still can't believe he's 29 and so into things like superhero movies, anime, manga, and cosplay, as though people are automatically supposed to lose interest in that after some arbitrary age. Great new badge, Alex! Looking forward to Hail Caesar with its tongue and cheek Esther Williams style aquatic dancing extravaganza to Channing Tatum playing Gene Kelly! Thanks for hosting another wonderful IWSG! Late to the game this week. Gotta grab that new badge! Hope you had a great week, Alex. Looking forward to the newsletter! The new badge for IWSG looks great! And I'm totally with you when it comes to being zombied-out. Would be nice to see some other kind of monster steal the spotlight, finally! I sooooooo want to watch Deadpool it's not even funny. My love triangle would be... uhm... chocolate or nougat. New badge is very cool:) We're booked in to see Deadpool for Valentines:) And I so want to watch Pride and Prejudice and Zombies - look fantastic. Elizabeth, gowns? Why aren't they naked? Madilyn, I'm a sucker for sword and sorcery as well. Carrie-Anne, I'm in my fifties and still excited about such things. Julie, thanks for being a part of it. Heather, we need to start a new trend. TF, the perfect Valentine's Day movie. I am not going to the theater to see P&P&Zombies. Maybe I'll watch it On Demand, but only if I can get it for free. I'm on the fence about going to see The 5th Wave. Did you review it? (Mental note: Check Alex's prior posts.) I loved the book, but ahem, not the sequel which started to get way, way, way out there. I have a bad feeling about this movie, although I'm willing to be proved wrong. Blogger is being a stinker tonight and making me identify images with every comment on every blog, including this one. Boo, Blogger. Boooo! Very cool! I didn't know about the group or newsletter. Might just go sign up now. "Gods of Egypt" looks really silly. There's enough of history during that time period without having to resort to monsters. But, before anyone accuses of me of being a snob, I soooo want to see "Deadpool." Been a while since I commented here. So with that out of the way, my only insecurity right now is coming up with three concise blurbs for my short story trilogy. I rank writing blurbs up there with writing a synopsis as the top two ways for me to pull my hair out with tweezers. Cool new badge. Always a good thing when you can jazz up a tried and true item. A genre in mind for the next IWSG Anthology Contest? Mystery/suspense/thriller. I forgot to add the new badge. Looking forward to the IWSG newsletter. The cover for Parallels is GREAT on the eye! Really snazzy! That's a great new badge. I'm gonna give Deadpool the benefit of the doubt, Alex. I hate injokes like when Ryan Reynolds says something about hating green outfits (Green Lantern flop duh). I'm zombie’d out too – especially PG-13 zombies. Everything needs to be PG-13... It's frustrating. It started out with Robocop 3: For Kids. YIKES! I, too, am zombie-'d out, but I'm going to go see this anyway tomorrow with a friend! Hope it's at least entertaining! Neither coffee nor tea do a thing for me when writing. I use alcohol. ^_^ Just a shot, though, and I edit sober, which is good because the editing process always takes a lot longer and booze is expensive. Thought about seeing Price and Prejudice and Zombies, but couldn't muster up enough interest. Definitely going to see Deadpool, though. Bwa ha ha. Ooh, that Coen brothers film could be fun. I am so excited for Pride and Prejudice and Zombies. I loved the book - the original and the zombie version - and I adore Matt Smith. I'll be seeing it next week.